If you are at least 62 years of age, you may qualify for the HECM for Purchase program. It may be possible to move into your dream home with only 40% down and no monthly mortgage payment. And on top of that, you don’t have to wait for your current house to sell. Even though the Springfield Commons and Wiltree neighborhoods are not age-restricted communities, you can use this program to purchase the home of your dreams. You just need to be at least 62 years old and have equity in your current home. The HECM program is insured by FHA and is an age-based program for people who are 62 or older. Because you do not have a monthly mortgage payment under the program, the loan balance increases each month by the amount of interest that is accrued. The primary benefit of the program comes from not having to make a monthly mortgage payment which improves your monthly cash flow. A side benefit comes to your estate when you and your spouse pass away. Under the HECM program, your estate is not liable for the debt incurred on the home. All you have to do is pay the taxes and insurance while you are living there, and keep up the maintenance. Then, even if the debt on the house is more than the house is worth when you and your spouse pass away, you and your estate are not responsible for the difference between what you owe and the selling price. You never owe more than the value of the house upon sale. The purpose of the HECM program is to allow older homeowners to use the equity in their home to provide cash without having to make a mortgage payment. With a traditional mortgage, you make monthly principal and interest payments, and over time (usually 30 years), your mortgage balance is paid in-full. But over those 30 years, when you consider interest payments, your house is costing you significantly more than just the purchase price. For example, if you have a $200,000 mortgage for 30 years, you may pay $150,000 to $200,000 in interest, assuming a fixed rate of 5% and depending on the amount of your down payment. That means that your house is actually costing you $350,000 to $400,000! However, if you participate in the HECM program and purchase the same home for $200,000, you have no monthly mortgage payment, and the monthly interest payment is just added to the principal balance of the amount you borrowed. So over time, the amount you owe on the house increases, but the amount of cash you have available to save, invest or spend on other things increases because you have no monthly payment. There is a matrix based on your age and the value of the home that you want to purchase that is used to determine how much cash you need to bring to the table and how much you are allowed to borrow. 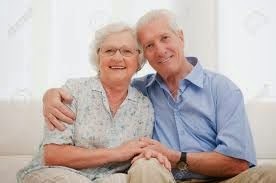 Let’s assume that my spouse and I are 75 years old and we want to buy a new home in Wiltree Condominiums for $300,000. We would need to bring $126,886 in cash to the table to buy the home. But after that, we would have no monthly payments to the bank. And if I sold my current home, which is paid off, for $400,000, I would have $273,114 ($400,000 - $126,886, less closing costs) to invest, put in savings or use to for whatever I want. And I never have to make another mortgage payment. And the cash that I take out of my old home can work for me and my estate. This program sounds too good to be true, right? But it’s not. There is no catch. 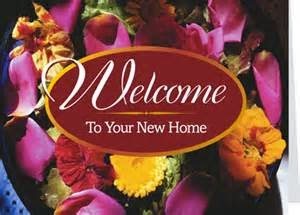 You own your home outright and have your cash working for you. If you would like more information, let us know and we can put you in touch with a certified HECM specialist who can make your dream home in Springfield Commons or Wiltree Condominium a reality.